Welcome to the last day of sneaks, tomorrow we will have the reveal and blog hop. I pressed a little too hard on the stamp, so it's not as clear as it should be but I love that this sentiment fits in the cup. I used it with the stitched treat sleeve die and the treat label dies. OMG Miss Brigit Your Hot Cocoa Sleeve Treat is Adorable and Gorgeous!! Gosh love the cool, clever & creative ways you've used Miss Emma's goodies!! Love the ribbon and you so did an outstanding coloring job too!! YOU so ROCK!! Absolutely adorable- love the colors. This set is so cute. Super sweet treat sleeve, Brigit! Love this! Beautiful treat! Love the papers and how cute is that mug? Great job. A very sweet & yummy treat!! Love the cute image and sentiment!Awesome job! 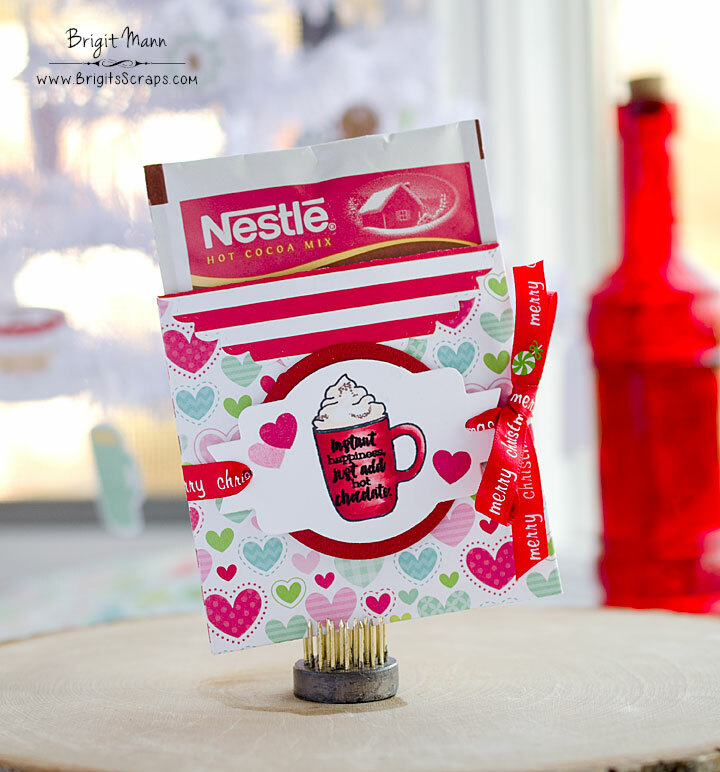 This is such a cute idea for the packets of hot cocoa!!! And you always make everything so adorable! Love your ideas! Happy Thanksgiving! Love the treat sleeve for the packet of cocoa! Darling project! Cute way to give hot chocolate. I like all the hearts. Loving your treat holder! Thanks for sharing.